The words “proteomics” and “metabolomics” are more than just tongue-twisters. These important scientific disciplines can be just as complex to understand as they are to pronounce. 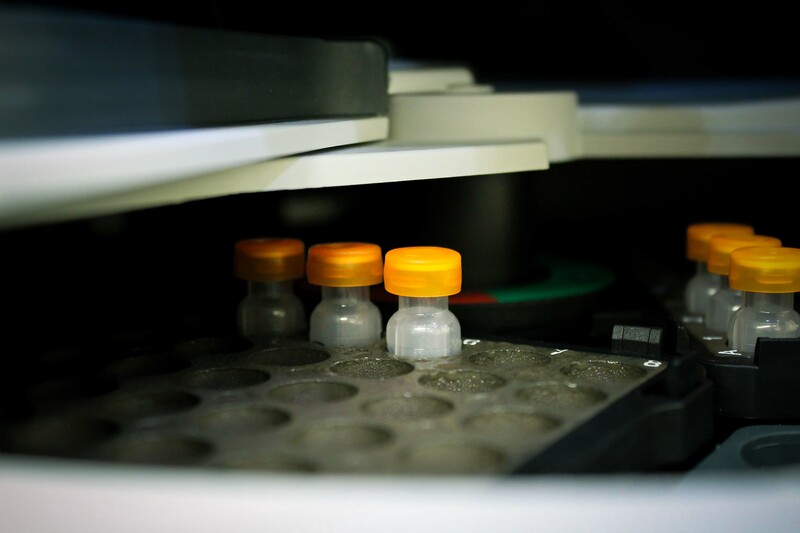 Proteomics is defined as the large-scale study of proteins, and metabolomics is the scientific study of chemical processes involving metabolites. In order to identify and quantify proteins, peptides, and small molecule metabolites, powerful mass spectrometry equipment is required. 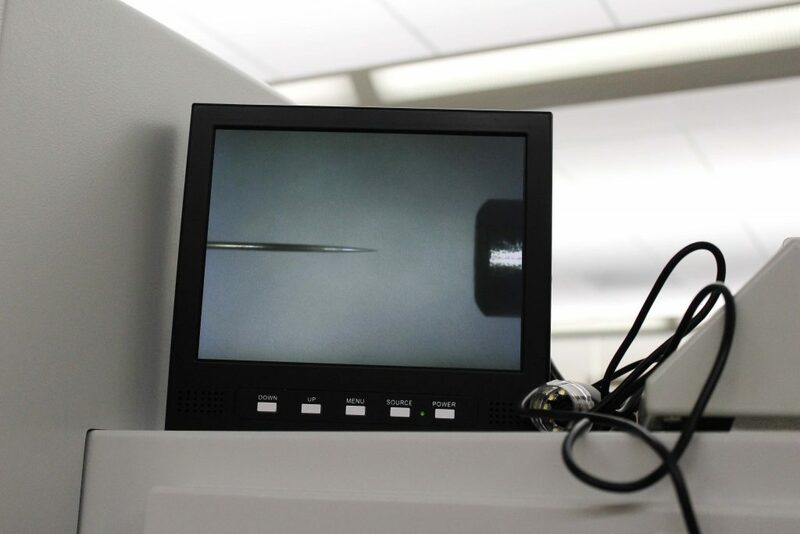 Faculty at the University of Connecticut can tap into these key resources at the Proteomics and Metabolomics Facility (PMF), which houses multiple mass spectrometers and is directed by experts in mass spectrometry. To study proteins and metabolites, you need to be able to confidently identify each with certainty in the midst of complex mixtures of many molecules displaying similar characteristics. Due to the molecular diversity present in most organisms, this can be a daunting task. At the same time, a simple molecular identification is not typically sufficient for most projects. It is also important to simultaneously and accurately measure the amount of each molecule present in a given sample type. This allows you to understand how these molecules change over time or across different conditions in biological systems. The PMF represents UConn’s first entry into providing proteomics services in over a decade, and is the Storrs campus’ first ever dedicated proteomics lab. Notably, within just over a year of opening its doors, the PMF has already served nearly 50 principal investigators between UConn Storrs and UConn Health spanning a wide variety of disciplines including chemistry, engineering, pharmacy, molecular biology, and dentistry among others. Administratively, the PMF lives within the Center for Open Research Resources and Equipment (COR²E). Most researchers who need mass spectrometry for their studies have not been previously trained to use this sophisticated instrumentation. That is precisely why facility director Jeremy Balsbaugh, Ph.D. provides guidance and training to prospective users of the PMF. Balsbaugh has years of experience in mass spectrometry. He received his Ph.D. in bioanalytical chemistry at the University of Virginia using mass spectrometry to study proteins and their post-translational modifications, and completed a postdoctoral fellowship focused on studying protein structure-function relationships using mass spectrometry at the University of Colorado at Boulder. After his fellowship, he led a mass spectrometry core facility at the University of Colorado at Boulder, using mass spectrometry to identify a vast array of different analytes. “Many UConn researchers have been heavily focused on genomics, but having a well-established proteomics facility allows scientists to gain information about the proteins that are actually present instead of being limited strictly to knowledge of the genes that have been transcribed. This facility allows us to add one more component of understanding to the complete picture of what is happening in cells,” says Balsbaugh. Many recent research projects have benefited from the use of this facility. UConn Health professor Dr. Pramod K. Srivastava has been working to identify peptide antigens that are expressed on the surface of cells for recognition by T cells. It is notoriously difficult to identify these sequences, and the use of mass spectrometry equipment available at the Proteomics and Metabolomics Facility has made this study possible. In addition, Sarah Reed from the Department of Animal Science is utilizing the facility for a large-scale quantitative proteomics experiment. Reed’s team is monitoring protein changes in sheep to determine how maternal diet affects protein expression in muscle. Signs suggest that there will be many more exciting new projects to come; to date, nearly 30 UConn Storrs and UConn Health labs have submitted grant proposals for projects that are dependent on complex analyses in the PMF. Balsbaugh encourages prospective users of the facility to reach out to him via email. He is available to assist researchers at every stage of their projects, from experiment design to execution.